The perfect AP European History test-prep solution for last-minute studying! 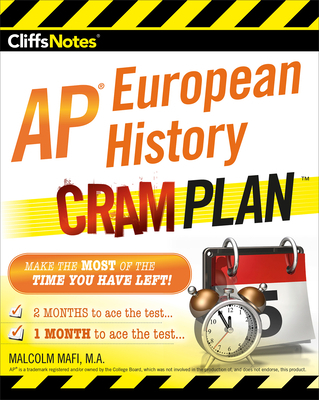 This new edition of CliffsNotes AP European History Cram Plan calendarizes a study plan for the 107,000 annual AP European History test-takers depending on how much time they have left before they take the May exam. MALCOLM MAFI is the Lead Instructor at the Peninsula Region, ThinkTank Learning, in San Francisco, where he teaches AP European History.